Landscaping Projects Done On Time! With 25 years in the landscaping business, we can handle all of your landscaping and gardening needs. We are the "workhorse" of the business. If you want great work at an affordable price, then you found the right company to serve your needs. We are owner-operated and the owner is on site to supervise all work completed. We are licensed and insured to protect you. If you are having a lawn emergency, call Workhorse Landscaping right away to get it resolved. We offer 24-hour emergency services to care for your trees and yard when needed. 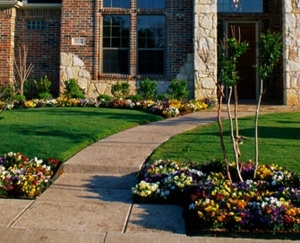 Ask us about our design concepts and customized landscaping packages. We guarantee to beautify your property on the first completed try. Don't waste another second with your pitiful garden. Let the experts at Workhorse Landscaping come to your rescue and turn the appearance of your property around. Call (215) 437-3859 now! Copyright © 2018 workhorselandscapepa.com All rights reserved.